Clean, continuous, real-time aggregated stream of semantically enriched news articles from RSS-enabled sites across the world [details]. Interactive interface to Newsfeed data enriched with XLike technologies. A collection of web services for multilingual language processing, covering entity ad relation extraction and semantic annotation. The pipeline is combined work of WP2, WP3 and WP4. 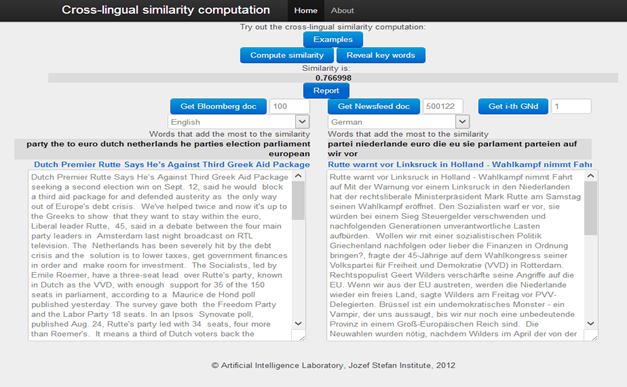 Web demo of cross-lingual similarity search.